Tell your Congressional Representative to SUPPORT H.R. 3513 that would ban all body-gripping traps — such as snare, Conibear, and steel-jaw leghold — from being used or possessed on national wildlife refuges (NWRs). The brutality of these traps is shocking; they can crush limbs and organs, and animals often remain trapped for days, in massive pain, before dying. Purpose: This bill would amend the National Wildlife Refuge System Administration Act of 1966 to prohibit the use or possession of body-gripping traps in the National Wildlife Refuge System. Status: Referred to the House Committee on Natural Resources on 11/15/13. Action: Please contact your U.S. Representative and urge him/her to support H.R. 3513. Tell your Representative that wild animals should not be exploited on the only lands in the United States set aside specifically for their protection. When the majority of the public visits refuges, they expect to be safe and to have the opportunity to view animals in abundance, without the fear of stepping into a body-gripping trap, or having to witness the pain and suffering of a trapped animal. A staggering 54% of the refuges within the National Wildlife Refuge System (NWRS) allow trapping on refuge grounds. These traps often do not kill the animal right away, which can remain in the trap for several days, either starving or slowly strangling to death. 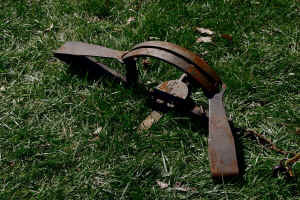 Because traps do not discriminate, they jeopardize threatened and endangered species, such as the bald eagle, which are frequently caught in these traps. The majority of people who visit refuges do so to observe wildlife and enjoy nature. Hikers, birdwatchers, campers, and photographers should not have to witness the maiming of the very wildlife they have come to see. Trappers already have access to millions of acres of private and public lands outside the refuges for their activities. The NWR system should be managed to carry out its stated mission — to protect wildlife and wildlife habitat and to offer people an opportunity to enjoy nature. Trapping should be disallowed on all refuges as the practice runs contrary to these goals.